Compustat North America (Standard & Poor’s (McGraw-Hill)) is a database of U.S. and Canadian fundamental and market information on more than 24,000 active and inactive publicly held companies. It provides more than 300 annual and 100 quarterly Income Statement, Balance Sheet, Statement of Cash Flows and supplemental data items. If applicable there is a quarterly update. Non-U.S. and Non-Canadian publicly held companies are not included in this database but are accessible via the Compustat Global database. Per item, you can follow a fixed procedure to select what type of data, for which period and in what format the data should be provided. Manuals and help are available in the database via ‘Support’ and ‘E-Learning’. 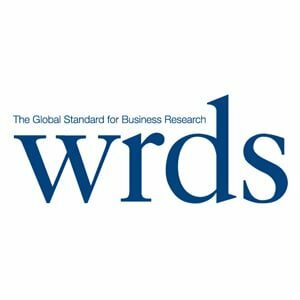 Compustat North America is only available via Wharton Research Data Service (WRDS). It is not accessible as a separate database.